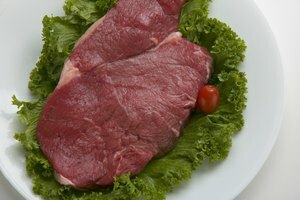 When cooking steak, most people sear it in the pan or on the grill, sometimes finishing it in the oven. 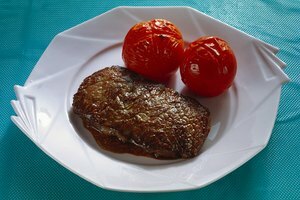 If you want something different, try steaming your steak. 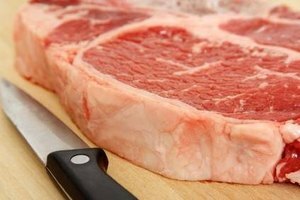 However, don't steam steaks as you would a vegetable on the stove. 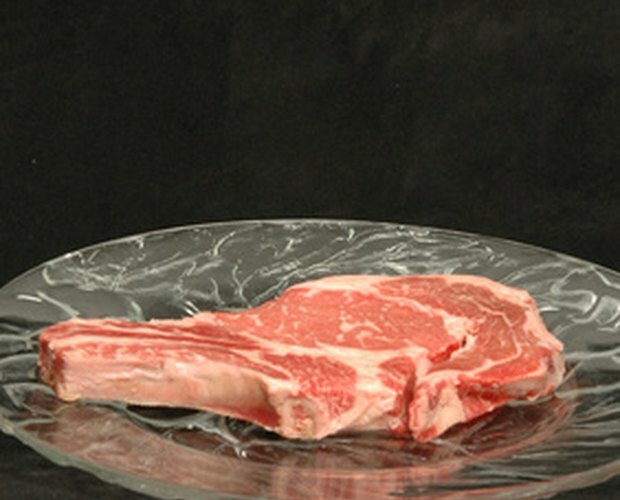 Simply placing the steak in the steamer basket will result in a gray, rubbery piece of meat with very little flavor. 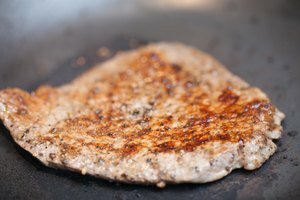 To retain flavor and avoid chewy steaks, steam the steak in foil on the grill. Place at least 25 charcoal briquettes in the bottom of your grill in a pyramid structure and light. When the fire is out and the coal is white, the grill is ready. Spread the charcoal out evenly at the bottom of the grill. Season the steak with kosher salt and freshly ground black pepper. Optional seasonings include lemon pepper, garlic and red-pepper flakes. 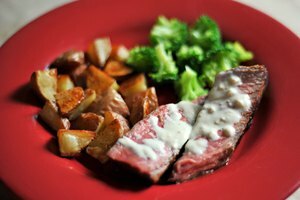 Place two sheets of aluminum foil, large enough to fully cover your steak, on top of each other. Place the steak on top of the foil. Fold both sheets together lengthwise so that one end meets the other. Fold the ends over twice. Then fold up the bottom of the foil twice, leaving only the top end open. Leave enough space inside the packet for the meat to release its juices to create the steam. 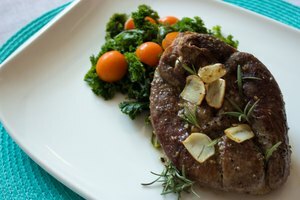 If you think the steak will not produce enough of its own juices to steam, add a little bit of water, red wine or apple cider vinegar to the packet for additional flavor. Fold the top end over twice to create an airtight seal. Place the foil packet on the grill. Cover the grill, and let the steaks steam in the foil packets for about 15 minutes for a medium steak, or longer if you prefer the steak to be cooked more. For a side dish, wrap small potatoes with a pat of butter on the grill in foil for about 15 to 20 minutes. The steam inside the packet will be very hot. Pierce the foil with a fork to release some of the steam before carefully opening the foil packet with the ends facing away from you.